If you need legal assistance regarding prenuptial agreements matters, contact us online or call us at (615) 800-7096 today for a free consultation with an experienced attorney. When starting a new life with someone, you may never consider what will happen if the marriage fails. But by coming to an agreement with your spouse both before and during the marriage, you not only protect yourself should something happen with the marriage but your spouse will be protected as well. The family law attorneys at Martin Heller Potempa & Sheppard, PLLC has assisted couples throughout the Nashville area with negotiating, drafting, and executing prenuptial agreements. These contracts can establish terms regarding important decisions, including asset division and spousal support, in the event of a marriage’s dissolution. Sometimes referred to as ante-nuptial or premarital agreements, a prenuptial agreement is a contract entered into by a couple before a marriage. These agreements contain provisions regarding each spouse’s rights and obligations in the event of divorce or death. 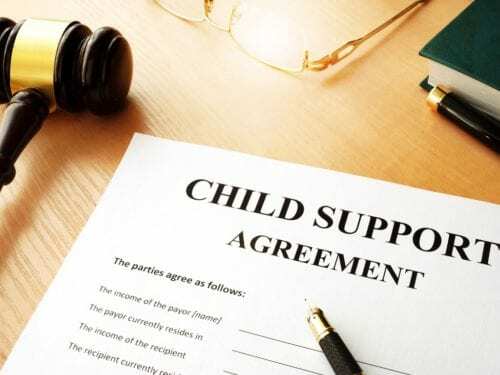 Although a prenup may contain clauses regarding asset divisions, spousal or child support specifications, waivers of parental support and time-sharing rights are not allowed. Any provision that purports to waive these issues will not be enforced by a court. These agreements may also be set up to protect any increases in the value of separate property, even when a non-owning spouse substantially contributes to that property during marriage. If this possibility is not taken into account, such a contribution otherwise may convert separate property into a marital asset. This may be an important stipulation, especially in the event of a high-asset divorce or when alimony is being awarded. The answer to the above question is yes, under certain conditions. To be enforceable, prenuptial agreements must be entered into knowledgeably and in good faith, absent of any undue influence or duress by either spouse. In Tennessee, postnuptial agreements must have adequate consideration in some other manner, such as mutual promises. These contracts must be signed by both parties with full and accurate knowledge of the property involved and their rights. They must be fair and equitable to both parties in order to be considered valid by the court. It is possible that a prenup is invalid. To prove this, the contesting party must show its execution was flawed because it was affected by coercion, duress, or the failure to value or disclose assets properly. Although entering into a marriage is a joyous event, planning for all types of contingencies is an important step in making sure you and your family are protected. At Martin Heller Potempa & Sheppard, PLLC, we are committed to carefully advising our Nashville clients on what stipulations should be included in their prenup agreements, as well as negotiating those terms and properly executing a valid contract. If you are planning to get married, or are already married and wish to protect your assets, now is the time to act. Contact our family law attorneys in Middle Tennessee today for more information. Please keep sending recordings of every argument between you and your spouse. We work by the hour. Hearsay is what someone else said and is presumed to be unreliable as evidence. Driving 5 mph slower than the car driving 100 mph doesn't mean you weren't speeding. What Mama told you is less important than what Mama put in her will. The only thing better than the truth is two lies.